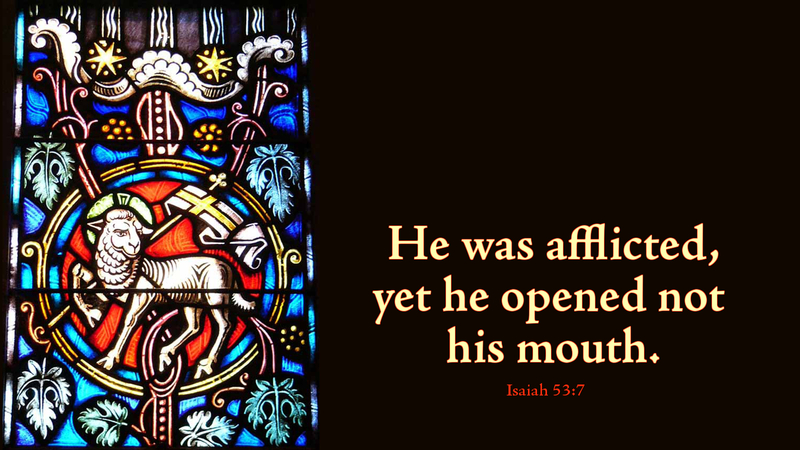 Jesus stood before Caiaphas, as Isaiah prophesied, “like a sheep that before its shearers is silent, so he opened not his mouth” (Isa 53:7). He did not remain silent because of guilt, but because his actions would speak louder than any words uttered by human lips. Jesus, the Lamb of God who takes away the sin of the world remained silent before false testimony so that he might save even those who accused him wrongly. Living without sin, the Son of God offered his life and died the death we deserved so that we might live. Prayer: We give you thanks O Lord our God, for your mercy and grace that is through Christ our Lord. Amen.